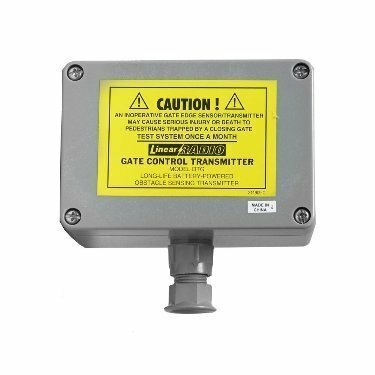 The DNR00072 DGT Safety Edge is a wireless radio control designed for use with gate operators. The Model DTG Safety Edge Transmitter is compatible with all of Delta-3 products. In a typical installation, the DTG is mounted on a motorized gate, door or barrier arm and wired to a standard exterior safety edge sensor which presents a closed circuit across the connecting wires when an object is hit during the closing of a gate.